Last updated by suzlipman at March 14, 2019 . I first learned about Pi Day when my daughter was in Middle School. I wondered where this day had been my whole life! 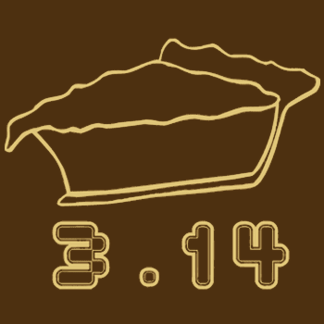 Now a global tradition almost 30 years old, Pi Day is best celebrated at 1:59 p.m. on March 14 to match the first few digits of the number Pi (and the extent of most people’s memorization, 3.14159), with a pie, of course – savory or dessert version. Math moment: What is Pi anyway? Ahem – Pi is the number expressing the ratio of a circle’s circumference to its diameter. It’s used in engineering, science and statistics and begins with 3.14 and goes on into infinity. It’s also captured a lot of people’s imaginations. The record for Longest Pi Recitation belongs to Japan’s Akira Hawaguchi, who recited from memory an astounding 100,000 digits over 16+ hours. How is that even possible?? (Here are some tips for memorizing pi.) A teen holds the North American record. 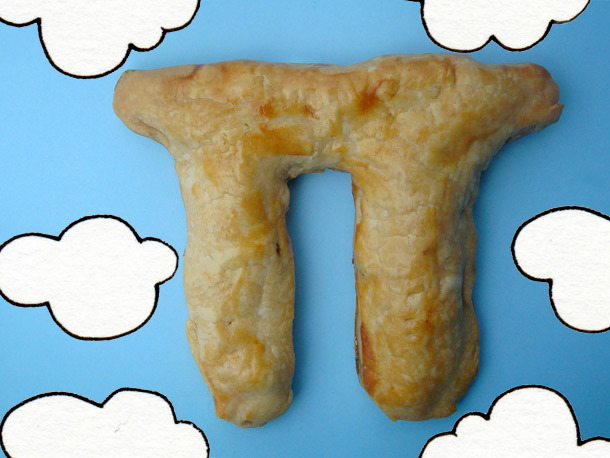 It seems Pi Day as we know it didn’t catch on until about 30 years ago, when it was begun at the San Francisco Exploratorium. Now it is celebrated around the world. Try some of these Pi Day games and activities from the Exploratorium, where Pi Day began! I’ve gathered a few pies to help you celebrate. It seems like a more fun way to mark the day than memorizing digits. But, to each his or her own! Pictured, at top, Pillsbury’s Triple Berry Pi Day Pie. 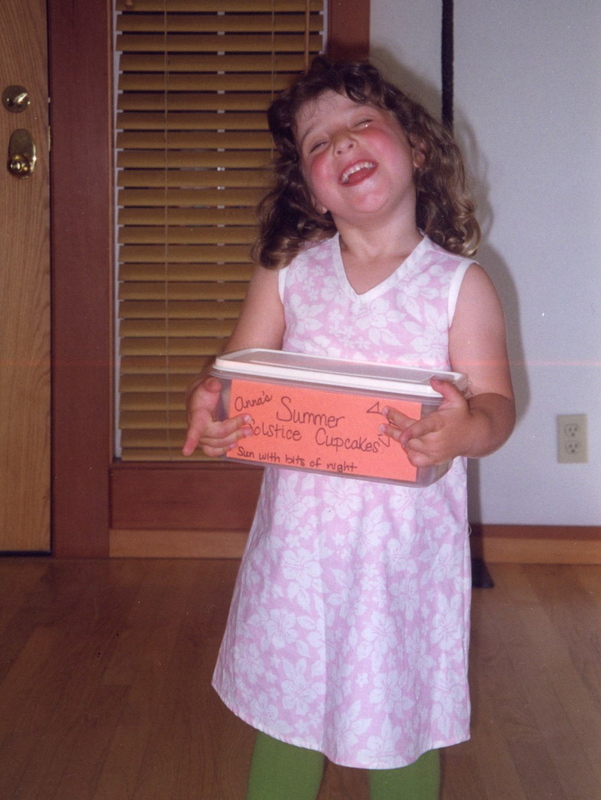 From the Gourmand Mom comes everything from Pumpkin Coconut Pie to Black Bottom Banana Cream Pie. This is my own recipe for Classic Apple Pie. You could add a Pi symbol in crust (or cut out a Pi symbol) to the top of this, or any, pie. Seeking something savory? This Shitake, Leek and Chicken Sausage Pie comes from Pie Maven. And, of course, pizza pie is always a possibility! When I think of Pie Mavens, I think of my friend Leah Brooks and her stunning and sometimes unexpected fruit pies, like apple with thyme or double lemon blueberry, or her chocolate cream, pumpkin, lattice-topped cherry, or perfect pecan pies! This one from Serious Eats may take the, uh, cake. It is made in the shape of the pi sign! Planning to watch the 87th annual Academy Awards? Turn your evening into a fun family event, or even an Oscar party, by serving easy finger foods, such as mini hot dogs; golden food, like easy yellow cupcakes, star-shaped sugar cookies with gold sprinkles, or chocolate coins; and sparkly drinks like champagne, sparkling wine (these are good budget sparkling wines ) or sparkling apple cider. You will want to make some of this wonderful old-fashioned popcorn from Simply Recipes. If you’re feeling ambitious, Food52 offers some wonderful Oscar-themed menus based on this year’s movie nominations. Make food and drinks extra special by digging out any gold or silver platters and champagne flutes (plastic versions of these are available at party stores), or serving food on doilies. Make copies of this printable Oscar ballot and have everyone vote for their favorites. The winner can receive a big box of movie candy, a certificate for a local movie theater, or a homemade voucher for a movie excursion. Before the show starts, have kids dress up and walk the red carpet (roll out a piece of red fabric or a vinyl or fabric tablecloth, or denote a section of floor with tape) and take pictures. Make a gold star out of yellow construction paper (or cardboard, spray painted gold) and tape it to a door or wall to create an instant star’s dressing room. Everyone likes to make acceptance speeches. Make an Oscar statuette by spray painting an old Barbie or Ken-sized doll gold. The ones below come from Ellie and Blair, who set theirs on stands. In a pinch, spray paint a paper-towel roll to denote the Oscar, or have children hold a bouquet of flowers. Be sure they thank all the little people who helped make their success possible! When I speak to families about slowing down and enjoying family time, one of the things that comes up over and over is screen time. Screens dominate many of our lives, often to a greater degree than we wish. While many of us parents can attest to the addictive nature of technology, we struggle with ways to reduce it in our children’s lives. It is perhaps a bonus, then, that the wonderful Campaign for a Commercial-Free Childhood has proclaimed May 5-11 to be Screen-Free Week. Sometimes this kind of added incentive is all we need to inspire us to action. More than once, parents have told me that their children’s favorite memories include episodes of family game nights by fire- or candlelight during power outages. You can create your own “power outage” by participating in Screen-Free Week. And, even if you don’t go completely screen-free, you might want to pledge an hour or so a day or night to have some good screen-free fun. Who knows? That fun might just become a habit or your own favorite family memory. For the first time since 1888, Thanksgiving and Hanukkah will converge. That’s right, Thanksgivukkah! And we won’t get the chance to celebrate it again for 78,000 years. This calendar oddity has resulted in some really fun – and feasty – mash-ups. Buzzzfeed offers up potato latkes with cranberry applesauce and pecan pie rugalah. The Macy’s Thanksgiving Parade will feature a spinning dreidel balloon. There are menurkey menorahs, “challahday” cards and chocolate coins that read “gobble tov”. Sounds like a lot of fun, especially if the alternative is eight days of leftover turkey. Why the alignment between the festival of fowl and the festival of lights? So, why is this Hanukkah different from all others? While Thanksgiving is celebrated on the fourth Thursday of November, Hanukkah is a moving target because it’s based on the lunar Hebrew calendar, which has 29-day months. The Hebrew calendar adds a 13th month every few years, to ensure that Passover is always celebrated in spring and the harvest festival of Sukkot in fall. This is why Hanukkah can swing from late November to late December. Thanks to these quirks, November 28th is the latest possible day for Thanksgiving, and the earliest possible day for Hanukkah, which begins at sundown, November 27. Though associated with Christmas because of its timing, some theologians are saying that the holiday has more in common with Thanksgiving, as both celebrate freedom from religious persecution. They also both feature a large food component (what’s a good holiday without that?) and offer plenty of opportunity for family fun. Of course you will want delicious, celebratory, unusual food and fun. If you notice an emphasis on the sweet in these recipes, it’s because every holiday should contain much sweetness, as well a dollop of Hanukkah’s traditional oil. Spiced Pumpkin Sufganiyots (Doughnuts for Hanukkah) with Turkey and Gravy or Turkey and Cranberry made to order from Zucker Bakery. Hello Friends! You may have noticed that my blog has been sparse the last couple of months. I appreciate your visits and checking in. I haven’t been completely quiet. I have been writing some interesting things for other blogs and thought I’d share here. I look forward to sharing more seasonal and parenting fun in the weeks ahead. Thanks again for stopping by.